The alchemical marriage of the Sun and Moon in marijuana seeds. “Man Is a Microcosm,” Robert Fludd, Utriusque Cosmi Historia, Oppenheim, 1617. Seeds of the hemp plant contain all the essential amino acids and essential fatty acids necessary to maintain healthy human life. No other single plant source provides complete protein nutrition in such an easily digestible form. More importantly, hempseed contains the oils essential to life in a perfect a ratio for human health and vitality. Hempseed oil (35% of total seed weight) is the richest source in the plant kingdom of these Essential Fatty Acids (EFAs ). The lustrous oil contains 80-81% EFAs, and is among the lowest in saturated fat content, at 8% of total oil volume. Marijuana seeds are Nature’s perfect food for humanity. Light is the fastest traveler from star to star. There is nothing that travels faster than light. Light speeds along with time. It is eternal. Physicists emphasize that the photon, the quantum, the smallest component of the sun’s ray’s is eternal. The photon is always in motion. Nothing can ever halt its motion. The photon is full of color, and can change its color, its frequency, when present in large numbers. The photon — acknowledged to be the purest form of energy, the purest wave, always in motion — can unite with a second photon when it is in resonance with the other, to form a “short-lived particle.” This particle, known as a π0 particle, can break up into two photon s again, without mass, as a pure wave in motion. This is the basis for the wonderful back and forth movement between light and matter. This photon can never be pinned down to one location. Herein lies the foundation for the Theory of Relativity. This very active, very dynamic very energetic photon can be captured by electron s that are in resonance with the photon. What does that mean? Electrons are already a component of matter. They are also continuously in motion. They constantly oscillate on their own wavelength. They have their own frequency, just like a radio receiver that is set to a specific wavelength. The electron loves photons. It attracts photons by its magnetic field. When an electrical charge moves, it always produces a magnetic field. The moving photon also has a magnetic field. Both fields, the magnetic field of the electrons and the magnetic field of the photons attract each other when the wavelengths are in tune. The wave length of the photon — which the photon can change — must fit into the wavelength of the orbiting electron so that the orbit maintains a complete wavelength. This feature is extremely interesting in terms of its physical manifesta­tion, its biological and even its philosophical consequences. All matter has its own inherent vibration. Of course, this also applies to living substances. The energy which is being absorbed must correspond to the inherent wavelength. The sun’s rays are very much in harmony with humans. It is no coincidence that we love the sun. The resonance in our biological tissue is so strongly tuned to the absorption of solar energy that physicists who occupy themselves with this scientific phenomena, the quantum biologists, say that there is nothing on earth that has a higher concentration of solar energy photon s than humans. This enrichment with solar energy depends strongly on the “like energy” aspects, a wavelength that is compatible with humans, and this is supported when we eat foods that have electron s with electromagnetic fields that attract the electromag­netic waves of solar rays — the photon. An abundance of these electrons, which are tuned to the solar energy frequency, exist, for example, in many seed-oils. Scientifically these oils have even been designated as electron-rich, “essential,” highly unsaturated fats. But when we began processing fats to prevent them from spoiling, nobody thought about the significance that this would have for the survival and the further development of the human species. We destroyed their extremely important wealth of electrons, which are very mobile and react so wonderfully to sunlight. When the sunshine beams down on the leafy canopy of a tree and is absorbed through photosynthesis, a flow of electrons is produced. A magnetic field is also produced between these trees as they conduct electrons and water. If we, who have an abun­dance of electrons and possess living tissue that is capable of conducting a current, move through this electromagnetic field of the woods, our tissues also become charged with solar-compatible electrons. As our blood flows through the body, it induces an electrical charge on the lipids, the unsaturated fats, on the membranes of the red corpuscles as it passes through the magnetic fields. In this way, many inductions and reverse inductions occur. With every heartbeat, a dose of lymph containing the body’s own electron-rich, highly unsaturated fats is injected into the bloodstream, and thus into the heart, from the lymphatic system. This stimulates and strengthens the electromotive power of the heart. The emitting of electromagnetic waves is associated with the very flow of the bloodstream, in accord with the fundamental, natural law governing electromagnetic waves. The scene Dr. Budwig paints harkens back to the sacred groves planted by the ancients as a place where one could commune with Nature and the gods. Groves planted not to yield food for the body but to nourish the soul. All the peoples of the Near East and the Mediterranean worshipped privately or in small groups in sacred groves that had been laid out and planted according to divine inspiration. They took solitary morning walks to places which happened to be appropriately quiet, to the temples or groves… They thought it inadvisable to converse with any one until they had gained inner serenity, focusing their reasoning powers. They considered it turbulent to mingle in a crowd as soon as they rose from bed, and that is the reason why these Pythagoreans always selected the most sacred spots to walk. —The Pythagorean Sourcebook and Library, Kenneth Sylvan Guthrie, translator and compiler. Using mathematical equations that are valid in physics, reversing the time quotient represents the mirror image of man — the “anti-human,” whereas man represents the picture of highest rank in terms of physics, i.e. directed against entropy, the “anti-human,” according to the equation of physics, is electron-poor. The “anti-human” is directed back in time. The “anti-human” possesses few solar energy photons, a low rank, in physical terms. It is very interesting to investigate our food from this perspective. 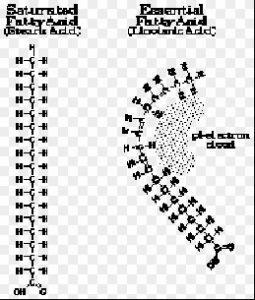 Fats that have had their electron structure destroyed to make them keep longer — they normally attract oxygen — have a very detrimental effect on the future-directed, electron-rich human being, according to the “World Line diagram.” Fats that have had their electron structure destroyed, promote the development of the “anti-human,” within space and time. Fats that disturb the electron exchange within living tissue because they, like tar, act as insulators against electrical conductivity, plainly deaden the life functions at the respective operative locations, e.g. in organs, and in growth centers of the body, as well as throughout the whole body. Tars were among the first ingredients that were known to cause cancer. What is cancer? Every significant circumstance in the “world of elementary particles” that promotes the development toward the “anti-human,” also promotes cancer. A high component of slow particles from the “world of elementary particles” in our food — food that has been robbed of its wealth of electrons — promotes the development toward the “anti-human.” they promote the emergence of cancer. For example, solidified fats belong to this category. These are electron-poor. They behave like tar, as insulators relative to the transport of electrons in living tissue. Electron-rich nutrition, electron-rich highly unsaturated oils, natural aromatics from herbs and spices, fruits which are rich in aromatics and natural color components that correspond to the colors of the photons of sunlight — all these increase the absorption, storage and utilization of the sun’s energy. Like prophets in ages past, Dr. Budwig’s revelation of Truth threatened the ambitions of the high priests. In her case the high priests of Commerce controlling Science for Profit. Dr. Budwig ran afoul of the powerful corporations that process food oils when she discovered that fatty substances in soft tumors contained polymerized fats of marine animal origin. These polymers are formed when highly unsaturated fish and whale oils are heated to very high temperatures. She knew these oils were used to make margarine, a partially hydrogenated fat that cannot be made without high temperatures. The director of the institute where she worked had financial interests in margarine and held patents on its manufacture including the hydrogenation processes that produced the toxic polymers she had found in tumors. He was afraid her discoveries would ruin margarine sales. He offered her money and ownership of a drugstore to keep her quiet. But Dr. Budwig refused to be bribed and in her official capacity made public statements warning people of the possible health hazards from consuming margarine. Access to her laboratory was cut off. She was prevented from using research facilities at other institutes, and she could not get anymore of her papers published in the fat research journals. This was astonishing because she had worked in collaboration with several hospitals, plus she held a high government post. It was her official responsibility to monitor the effects of drugs and processed foods on health. Dr. Budwig courageously fulfilled her public duty in the face of FOC (Food Oil Companies) opposition and threats to her career. She left the government position in 1953 and opened the clinic where she has successfully treated cancer patients by nutritional therapy. Because this great woman was blackballed by FOC greed, EFA research has been slowed for over thirty years. Current investigations are merely following in her footsteps. The special relationship between photons, electrons and EFAs described by Dr. Budwig is due to the amazing molecular structures of LA (cis- linoleic acid), LNA (cis- linolenic acid), and other even more highly unsaturated oils manufactured from them within the human body. Plants have enzymes capable of inserting cis double bonds starting at the third carbon atom on a fatty acid carbon chain. Human enzymes can make double bonds starting at the ninth carbon atom only. If the fatty acid has more than one double bonded carbon pair it is polyunsaturated. LA has two unsaturated pairs in its 18-carbon chain. LNA has three unsaturated pairs in its 18-carbon chain. Naturally unsaturated fatty acids made by plants have their double bonds three carbon atoms apart. These unsaturated bonds cause the normally straight line shape of the carbon chain to bend at the double bonded pair because nature always removes the hydrogen atoms from the same side of the fatty acid molecule. This greatly changes the fatty acid’s physical and chemical characteristics. Biochemists call this cis- configuration. The bent structure keeps the EFAs from dissolving into each other. They are slippery, not sticky like the SFAs (saturated fatty acids, e.g., butter, lard, coconut oil), and they are liquid at body temperature. EFAs possess a slightly negative charge and have a tendency to form very thin surface layers. This property is called surface activity, and it provides the power to carry substances like toxins to the surface of the skin, intestinal tract, kidneys and lungs where they can be removed. EFA surface activity also helps disperse materials which react with or dissolve into the EFAs. Essential cis- unsaturated fatty acids do not clog arteries like SFAs. The cis- configuration allows de-localized electron clouds (pi-electrons) to form in the bend produced on the chain. The resulting electrostatic force enables the EFAs to capture oxygen molecules and hold proteins within cell membranes. And because of the pi-electron clouds in the cis- bonds, EFAs are able to form phase boundary electrical potentials between the water inside and outside of cells, and the oils within the cell membranes. Like static electricity in a capacitor these charges can produce measurable bioelectric currents essential to nerve, muscle, heart and membrane functions. EFAs are extremely important to the body’s overall energy exchange potential — the flow of lifeforce. LA , LNA and the highly unsaturated fatty acids the human body makes from them are necessary in the most active energy and electron exchanging and oxygen requiring tissues; especially the brain, retina, inner ear, adrenal and testicular tissues. They carry the high energy required by the most active tissues, and ensure very high oxygen availability to them. Lifeforce travels through the body via the essential fatty acids and their derivatives. Unlike sticky saturated fats (and trans- fats which result from subjecting poly-unsaturated fats to high heat during refining processes), the molecular structure of EFAs is curved and slippery. This cis- configuration allows them to produce life energy from food and carry that energy throughout the body. LA , LNA and the highly unsaturated fats the body makes from them carry the high energy required by the most active tissues. Lifeforce travels through the body via these essential fatty acids and their derivatives. Over half the oil found in dark green plant leaves is linolenic acid (green leaves contain one percent or less oil). It is even more concentrated in the membranes of the chloroplasts where photosynthesis takes place. The pi-electron s transform the solar energy into chemical energy and LNA transports that energy wherever it is needed. The forward looking human of the New Golden Age will be a consumer of highly unsaturated oils cold pressed from fresh seeds. Marijuana-hemp seeds provide the ratio of LA to LNAthat is the closest to the ideal requirement for the human body, about three times more LA than LNA . Hempseed oils can reduce fat-clogging in arteries of the sluggish anti-humans and at the same time increase electron cloud densities in these unfortunate and sometimes mean spirited wretches. An increase in pi-electron cloud density means an increase in vital energy that is necessary for superior mental function and essential for manifestation of a bright mind looking forward to a bright new future. Throughout the ages the sages and prophets have described God and Mind as a cloud. The trinity of body, spirit and soul is a religious union in God. The trinity of matter, energy and mind is a philosophical union in Man. Both have been studied by the alchemists. This trinity of electron, photon and pi-cloud is a material union manifest as lifeforce that is a manifestation of Mind and God. Electrons can absorb and release energy as photons when energy flux passes through them. In the pi-electron cloud flux photons are emitted and re-absorbed constantly as bioelectric and biomagnetic currents course through the nervous and circulatory system. The chaotic flow of photon emergence and absorption is tantamount to the light of mind unfocused. When the light of mind becomes meaningful then revelation of ideas proceeds to focus the chaotic flow of photons into functional mathematical relationships. The sages frequently used the analogy of the fire or light of God pulsing through the cloud of knowing in the world-soul as giving rise to All. This trinity of being in existence was a source of profound inspiration to the Pagan prophets and philosophers. Certainly DNA is the blueprint of living molecular organization. It is protected inside a nuclear membrane inside every cell which, in turn, is protected by its own cell wall, and all healthy membranes are rich in essential lipids containing pi-electron clouds. Whether DNA sends an RNA messenger to initiate functioning depends upon the quality of vitality in all feedback systems in the “youniverse” of the human being in the universe of the human body. And the quality of energy feeding back to the DNA is dependent upon the density and vibratory energy in the chain of pi-electron clouds throughout the system. So in this system DNA is like the essential body, from which the whole organism can be built, and the life force coursing through the pi-clouds is the energy-spirit that operates it. Since the most highly unsaturated fatty acids are located in the brain and nervous system, there we find the highest density of pi-electron cloud flux, and in the cloud flux, the brain generates mind. Mysteriously, mind, which cannot be measured directly by any scientific devices to date, acts upon the nervous system moving the living body to work against entropy toward its own goals. Those goals are manifest as ideas and images in the mind. And what are ideas and images in the mind but meaningful light revealing possibilities erupting from the super-unknown. The revelation of ideas erupting from the super-unknown into the mind of one can be conveyed to other minds. Each mind awakened to the revelation of ideas can further convey revelation and ideas to still others. And each mind acting and reacting to revelation and ideas is itself part of a neural net of minds collectively and individually manifesting the super-conscious Mind of God. In the New Golden Age the “youniverse” of mind in the body of Man will unite with the “youniversal” Mind of God in the body of the universe. The development of scientific and technical knowledge has been essential to the greater understanding of the phenomenal universe. This advancement of knowledge about the operations of the universe has lead to reformations of previous religious ideas as humanity evolves toward the golden age when union with the godhead becomes an every day event in the lives of forward looking humanity. Revelation of ideas within the “cloud of knowing” in a mind rich in pi-electron cloud flux connects that individual with divine gnosis in the transcendent “youniversal” Mind. If the revelation of ideas is not happening from within because the “cloud of knowing” is vapid from an inadequate flux of pi-electron cloud energy, then the revelation of ideas has to be conveyed by those in the cloud of knowing. The dim ones must accept revelation on faith or some justification employing reason or logic. Still, it is easier for the dim ones to repeat in comfort the rhetoric of the past as orthodox tradition — until their own mind clouds are invigorated by nutritional therapy with EFAs obtained from seed oils, especially marijuana-hemp seed oils. Inertia, one of the manifestations of universal entropy, is difficult to overcome. When the mind has been dimmed because cis-polyunsaturate d fatty acids are lacking in the brain, new ideas can be seen as offensive because the change involved may require more energy than is available to neutralize the mental inertia. For instance, the United States government has been allowing the import of hemp seeds as long as they were steam sterilized at 212° F to prevent the possibility of sprouting. That temperature does not ruin the EFAs though it does somewhat uncoil the highly nutritious edistin protein in the seeds. Now that hempseed consumption has increased dramatically in the U.S., the federal government has decreed that the seeds must be dry heated to over 300° F. causing the EFAs to denature and become toxic. The anti-humans in charge cannot accept the truth that marijuana seeds are the most nutritious single food source on earth for humans. They cannot accept the validity of spiritual revelations initiated in humans by the religious use of marijuana for fear it might conflict with their position in the orthodox social hierarchy. They uphold and enforce ignorant mistakes made in the past that keep them focused on the past, and they are unwilling to make the changes in habits that are killing one out of every three of them as well as the rest of Americans with heart disease and cancers directly or indirectly attributable to consumption of fats altered by high heat. Since they see no reason to stop their own slow deaths on the trail of anti-human degenerative pathology, they feel no remorse forcing others off the highway of individual health and revelation leading into the new Golden Age. This information about vitality and hempseed nutrition has been circulated within the counterculture for about five years now. Its general acceptance there has caused a dramatic increase in demand for hempseed foods for human dietary consumption. A bright mind is contagious, and healthy living is universally admirable. Those already tasting the benefits of Golden Age vitality are not willing to dim out with the anti-humans. Fortunately as current events indicate most stuck on the loway of anti-human devolution and degenerative disease want to change directions for the highway of genuine vitality and wholeness. A lecture held on April 6, 1972, at the 8th “Vie et Action” Congress, in Tours, France translated from German as published in Flax Oil as a True Aid Against Arthritis, Heart Infarction, Cancer and Other Diseases, Dr. Johanna Budwig, Apple Publishing Company, Vancouver, British Colombia Canada, 1992. Carl G. Jung quoting and paraphrasing from Plotinus’ Enneads, II, III, and IV in Symbols of Transformation, p. 138. For more details on this subject see Fats and Oils, The Complete Guide to Fats and Oils in Health and Nutrition, by Udo Erasmus, Alive Books, Burnaby, BC, Canada.